Career spans: a) recent academic experience in development of innovation and outreach programs, b) professor of the practice with instructing over 50 biomedical engineering development courses, c) development of a Master of Biomedical Innovation and Development degree, d) previous 30+ years of industry experience in product development, marketing, and commercialization of medical devices, consumer, and industrial products. “Some teams pulled out early and the VCU team continued working. They’ve made it through many, many of the qualifications,” Bost said. VCU is getting ready to begin construction of a $92 million addition to the School of Engineering’s East Hall building at Cary and Belvidere. The project is part of the university’s 2020 Master Site Plan. VCU is gearing up for its next major construction project, filling out a corner of one of Richmond’s busier intersections. Construction is set to start this fall on a $92 million addition to the School of Engineering’s East Hall building, at the northeast corner of Cary and Belvidere streets. The four-story, 133,000-square-foot building will fill the lawn area alongside Cary beside the East Hall building and adjoining Snead Hall, where the School of Business is housed. The building, included in VCU’s 2020 Master Site Plan, will be used as a research and economic development hub for the engineering school. It will house the school’s career services, a 9,000-square-foot innovation space, and various research labs, said L. Franklin Bost, executive associate dean for the school. He said the building will accommodate growth in the school’s research programs and rising faculty count. The building will not house traditional classrooms, he said, noting plans to renovate parts of East Hall and potentially West Hall across Belvidere to add classroom space. 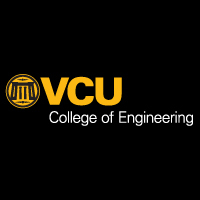 OpenEMR is proud to be a contributing sponsor of the 2017 HealthHacks at VCU; a 24-hour event at Virginia Commonwealth University involving engineering, medical, and computer science students coming together to problem solve and innovate on current unmet medical needs. "HealthHacks is a rapid-paced participatory event for students of all disciplines to engage with medical professionals in development and prototyping of solutions for unmet needs in patientcare. It is a very exciting 24-hour engagement event," said L. Franklin Bost, M.B.A., I.D.S.A., executive associate dean for innovation and outreach, director of the VCU Institute for Engineering and Medicine and faculty in the Department of Mechanical & Nuclear Engineering. Pathways in medical device development toward clinical deployment. 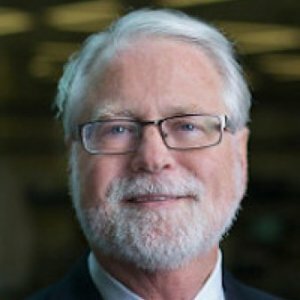 Beginning with unmet need definition, new concept development, engineering design phases, prototyping, regulatory pathways, market analysis, and strategy, financial planning, then progressing through cGMP and ISO manufacturing, clinical evaluations, reimbursement, marketing, sales, and distribution strategies. Our Hyperloop VIP team is creating a new vehicle design to enter in the 2019 SpaceX Hyperloop competition. Design components include: Propulsion, horizontal and vertical suspension, braking, controls software, performance sensors & communications, pod chassis and overall vehicle design. Other key components of the team’s success include product design, marketing communications, sponsorships, fundraising and finance, and project management. Key Activities: Experiential learning activities in design thinking, ideation, creative analysis, engineering solution development, documentation, fundraising and hands-on creation​ and building of a large very high-speed prototype vehicle in a teamwork environment. Graduate and undergraduate course discussing the FDA Medical Device Regulation and ISO13485 Standards for Medical Devices. Overview of US FDA regulations and ISO 13485 Standards; how they are similar and where they differ. Essential information for development of medical devices for sales in the USA and ISO regulated counties. The BMED 2300 course emphasizes learning engineering design processes as applied to medical products and systems. This course will require a higher-level use of modeling, both mathematical and physical, in your problem-solving strategies than BMED 1300. The schedule of lectures and design lab assignments can be found in the schedule document. Class Presentations focus on the design process, engineering design in the commercial enterprise, project planning, FDA regulations on design and manufacturing, human factors and ergonomics, intellectual property and development of written and oral presentation skills. Students will meet in two (2) design lab studios each week focusing on experiencial learning of creative design techniques, prototyping, oral presentations and written design reports. Individual skills development and team projects are an essential component of the studio learning. Objectives: To inform and engage students in understanding the medical and clinical relevance of healthcare product opportunities and problems, the importance of proper definition of user requirements and functional metrics, to encourage developing creative solutions that address project parameters and metrics, to develop functional or simulated prototypes and in order to perform verification testing and to document proper engineering justification for project solutions. The BME capstone design courses prepare students for future team activities through a project design experience incorporating relevant biomedical and engineering practices, constraints, timelines, deliverables and professional oral and written communications. The biomedical engineering capstone senior design courses provide student teams with hands-on experience with project planning, concept and prototype development, design verification testing, FDA Quality Systems Regulations, design controls and regulatory pathways for commercialization of medical devices. Georgia Tech BME undergraduate students develop excellent analytical and process skills while taking a broad range of biomedical-focused classes. BME students, whether planning to enter industry, graduate school or medical school, can benefit from knowledge and experience in the interdependence of design and development processes with the multiple business and regulatory functions essential to biomedical product development. The following considerations are essential components of the BME capstone design courses: clinical or research relevant projects, human factors and ergonomics, economic and societal impacts, regulatory standards and compliance, environmental and sustainability issues, ethical, health and safety issues, and political/legislative influences. BME Capstone Design II provide student teams with extended experiences in design verification testing, FDA Quality Systems Regulations, design controls and regulatory pathways for commercialization of medical devices. Additionally, requirements of business functions such as marketing, sales, manufacturing, finance, intellectual property and their affects on the product development process are integrated into class presentations, projects and reports. Mission: A course designed business, art and humanities students that seek an understanding​ of for non-engineering majors. Create awareness and understanding of engineering design approaches so students can apply these principles to their work and increase their effectiveness in communicating and collaborating on technology projects. Description: Introduces engineering and technology fundamentals to students from non-engineering disciplines. Particular focus is the engineering problem-solving process as applied to open-ended problems. Students will be introduced to the different types of engineering, examine engineering and technology issues and apply the engineering problem-solving process. Champaign-Urbana, IL, May 30-June 1.